Are you a business that would like to be added to the CHUO card? Download and complete our CHUO Card Business Agreement and email it back to card@chuo.fm so we can add you to our awesome list of businesses! You can buy the card in person from us during office hours, or from one of our partnered retail locations! orders are open for the 2019 CHUO card. Check out the preview below! Save big with the CHUO card in the stores you love! 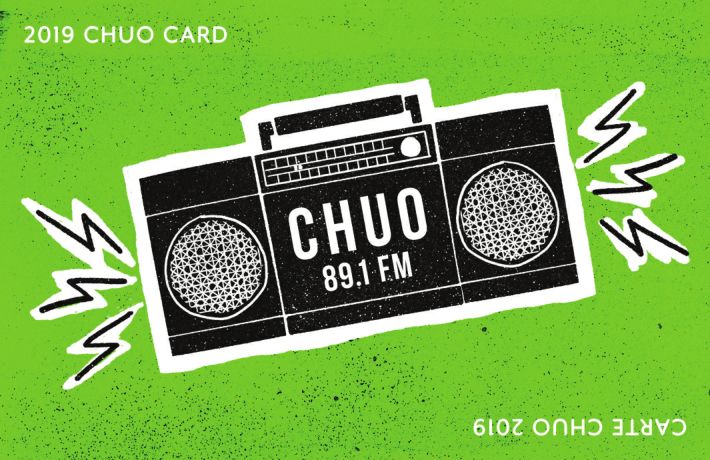 CHUO 89.1 FM is partnering with local businesses to deliver incredible bargains in the Ottawa / Gatineau area with a card that goes so well in your wallet! 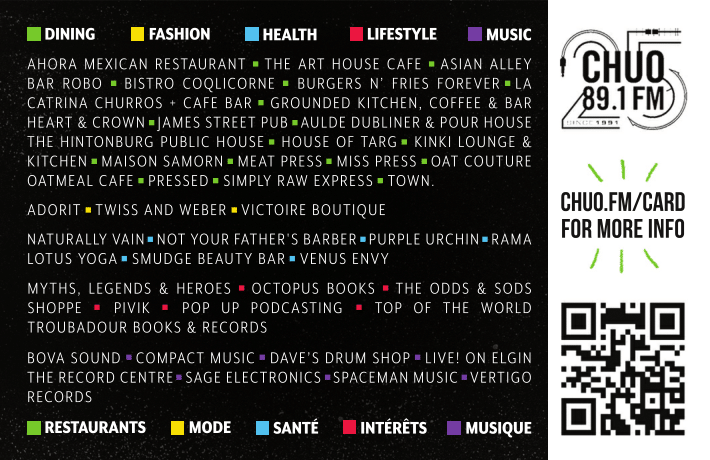 Support both CHUO 89.1 FM and the local independent businesses of your community! A donation of $35 or more allows you to have your own card, which gives you access to these discounts throughout the year! 10% off anything in The Shoppe!